• A quiet kitchen. The fans in our hoods are designed to be extremely powerful yet silent at the same time. At the highest setting, the decibel level gets no higher than a relaxed conversation between two people. Our customers tell us this is one of their favorite features to ZLINE hoods. • Professionally crafted wood. ZLINE's designer hoods are thoughtful yet bold. 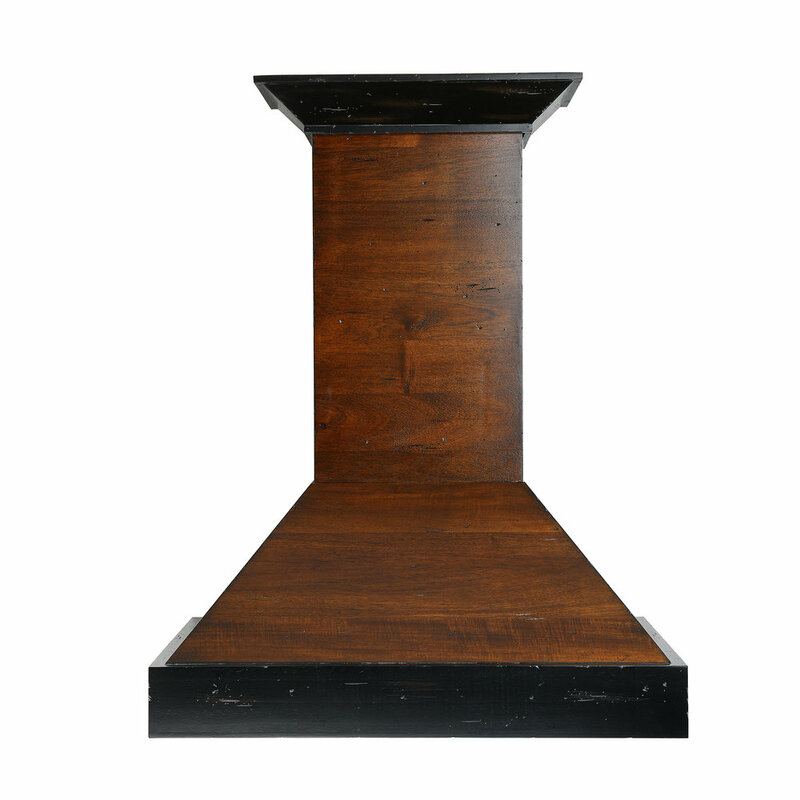 They are of the finest quality wood, and finished to prevent corrosion and stand the test of time. Our wood crafted hoods are built to remain beautiful for years to come. • Built to last. 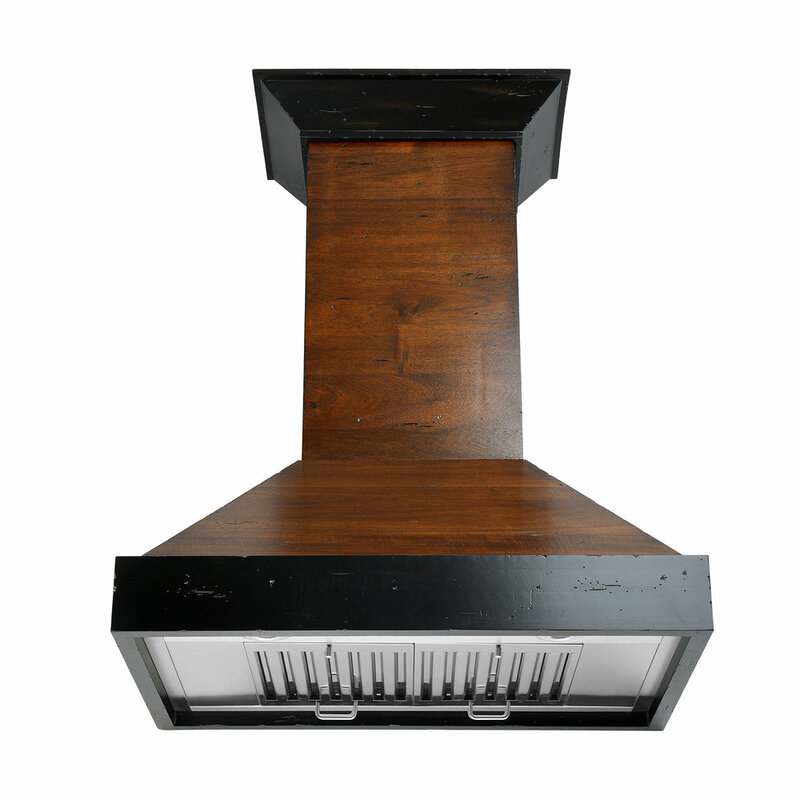 The designer series hoods come with a 3 year warranty, we stand by our craftsmanship, quality and the longevity of our wooden hoods, guaranteed. • Easy to clean and maintain. Our hoods are made to be durable and feature high quality stainless steel baffles that are easily removed and dishwasher safe. No grease left behind! Improved real estate value. Are you looking for an upgrade to your kitchen that boosts your home’s real estate value, whether real or perceived? Many buyers find wood range hoods to be an indicator that sellers took their kitchen revitalization seriously. Better-looking and cleaner food preparation area. Cleaning grease stuck to surfaces around your kitchen can be a difficult process. 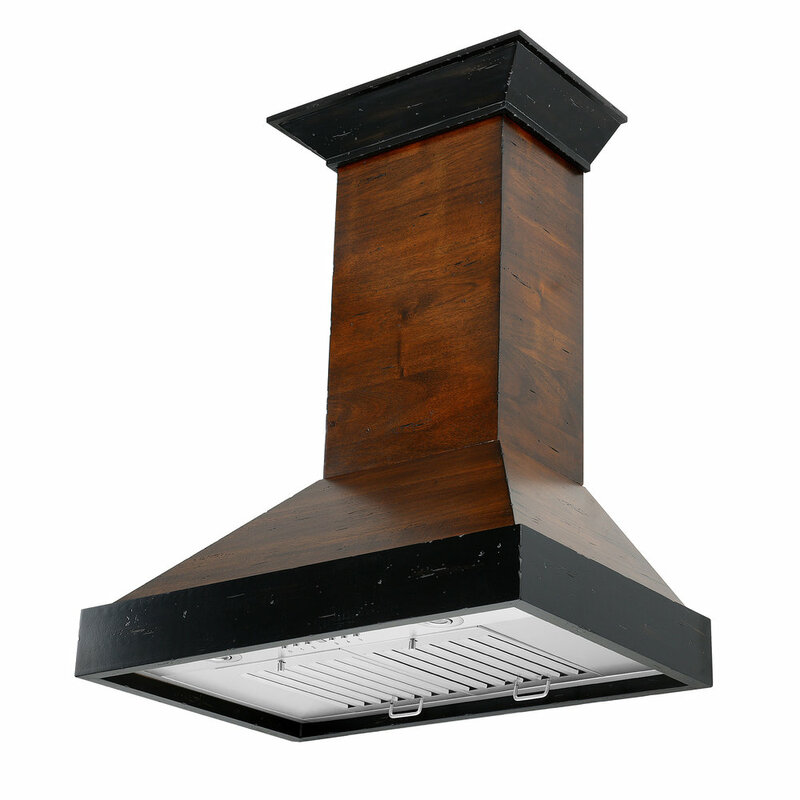 With the right wood vent hood, you’ll have fewer oil droplets hanging in the air.